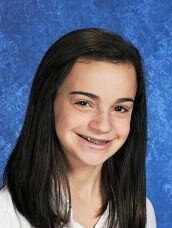 8th grader, Shira Osdoba, was awarded 2nd place in the 'True Story" category of the 2010 Jewish Heritage Essay Contest. The contest included entries from Middle School students from 22 schools in 21 cities in the U.S, South Africa, and Israel. Read the rest by clicking here. It's a short piece with a powerful punch and a critical lesson for life. Thank you, Shira, for sharing it with us all.